Exquisite Inner City Designer Terrace! Ambassadorial heritage residence. Transformed by a sleek architectural renovation, this exquisite terrace home provides cool cosmopolitan style, space and natural light. Prominently placed in one of Brisbane City’s finest terraced rows and on a dual-street-fronted block, moments to The Barracks shopping precinct, supermarket, cinema, Roma Street Parklands, theatres, Caxton Street dining and entertainment precinct, and the CBD. Direct buses, no 66, to UQ, St Lucia and Herston campuses; no 66, 333, 330, 340 to QUT Kelvin Grove campus. Walking distance to the CBD (10 mins), Roma Street Train Station (10 mins), and QUT Kelvin Grove (10 mins) and Gardens Point (25 mins) campuses. - Captivating entry hall complete with sweeping silky oak staircase, 3.7m ceilings and crystal chandelier - Living area with bespoke joinery and designated study area - Wide-fronted bi-fold doors flow to deluxe entertainers deck, with city and mountain views - Fully-equipped kitchen with fridge-freezer, stove, microwave oven, all kitchen appliances, utensils, and crockery. - Private alfresco area on second floor deck - Ducted air-con, double glazing, along with an array of prized fixtures and fittings throughout - Stroll to all amenities, prestigious schools, parklands and the CBD. - Accommodating 3 over-sized built-in bedrooms, master suite with impressive ensuite bathroom: Queen-sized bedrooms from $300/week. $360 week for couples/2 people sharing ($180 per person). Master bedroom with ensuite bathroom. Long-term, 6 months or more, rental rates are $380/week for a single person. $450/week for couples/2 people sharing ($225 each). Please enquire about our short-term rates. Rent includes utilities and unlimited internet. No more to pay! Complimentary access to gym, heated pool, and sauna available. Heritage building. Two small dogs live at the property. Outdoor living and dining. House fully furnished. 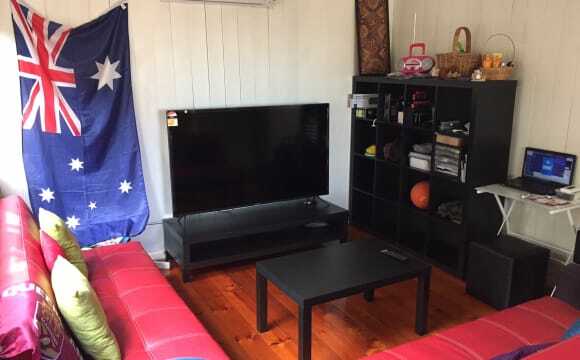 Address: 45 earl st, Petrie Terrace *** Excellent location to get around to shops, supermarket, restaurants, grocery shops, Suncorp stadium, Roma Street Station, cafes, gyms, atm's, banks, bottle shop, post office, pharmacy. *** Unlimited internet available Shopping close by: The Barracks Shopping Centre (about 150 mt) Roma street Parklands is only a few blocks away, approx 5 mins away. The famous Caxton street is only a few minutes where you will find lots of restaurants, bars, cafes and much more. Common area: Laundry (not coin operated), bathroom upstairs comfortable lounge area to rest and watch TV or just to relax, fully equipped kitchen, front verandah to get out there for some fresh air and relaxation or to enjoy a nice meal. 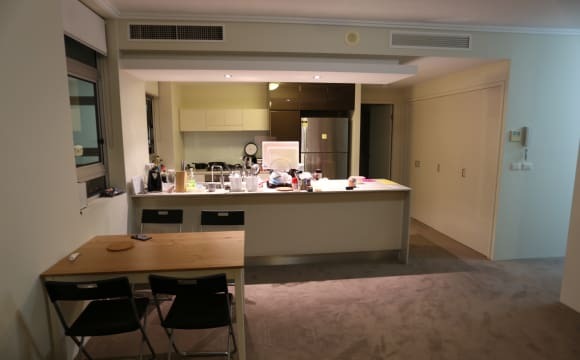 About 10 minutes walk-distance to the city centre, QUT kelvin grove campus, about 20 mins walk-distance to Griffith University South Bank campus and South Bank TAFE, parks, etc, etc. Everything you need is just a few metres walk distance to the shopping centre, many other shops are only a few minutes around this area if you're looking for more options. Overall this is one of the best areas of Brisbane, very easy access to get to and from, you will be able to find absolutely anything you need around here. For more information please contact me. Apartment in the city !! The Apartment is located in Fantastic Petrie Terrace !!! Only 15 min walk to the Queen Street Mall and 2 min to the Supermarket, Coffee Shops &amp; Cinema's. It consists of four separate rooms, Bedroom, Lounge, Kitchenette, en-suite and is around 50 m2 in size. Short lease until the 16th June 2019!! With option to renew &gt; Fully Furnished Bedrooms and Common Areas! &gt; Electricity, Internet, Water &amp; Gas all INCLUDED! This large house is in a great location and includes fully furnished bedrooms. 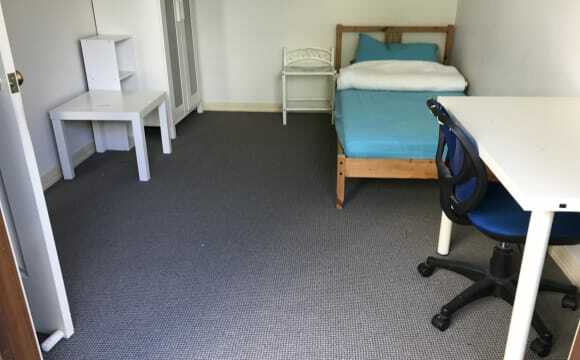 Just minutes walk to QUT Kelvin Grove and Brisbane City, these rooms won’t last long. The rental payment covers all outgoings, providing hassle free accommodation and simple budgeting. Your Bedroom includes: Executive Bedroom 2: $225 per week Available: NOW! 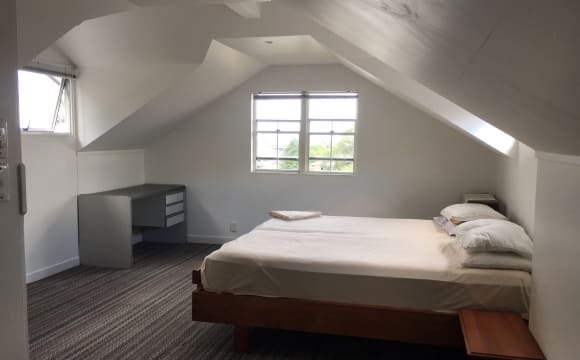 - Private ensuite bathroom - King Single Bed with Mattress Protector - Study desk &amp; chair - Large wardrobe - Individually lockable room for privacy - Fully Air Conditioned (Split System) Minimum lease until the 16th June 2019. Common Area Includes: - Air conditioning throughout all bedrooms - Electric cooktop and oven - Fully furnished and equipped kitchen with all cooking utensils - Common T.V. - Shared laundry with washing machine - Unlimited Wireless internet set-up and ready - Walking Distance to parks, cafes and Caxton Street precinct - All Yard maintenance is included in the rent Education Facilities Close by: QUT Kelvin Grove – 1.2km UQ Medical School, Herston – 2.4km Brisbane City - Queen Street – 3.5 km QUT Gardens Point - 2 George Street – 4.2 km (Free Bus) Public Transport: Buses operate to the Brisbane CBD very frequently (15minutes) on Herston Road (150m) and Kelvin Grove Rd (500m) as well as the QUT Kelvin Grove Busway Stop (1.2 km). Fantastic House and Great Location.... The Room Is Fully Furnished and includes Utilities, ADSL2+ , therefore it is very simple with no complications in working out the bills. 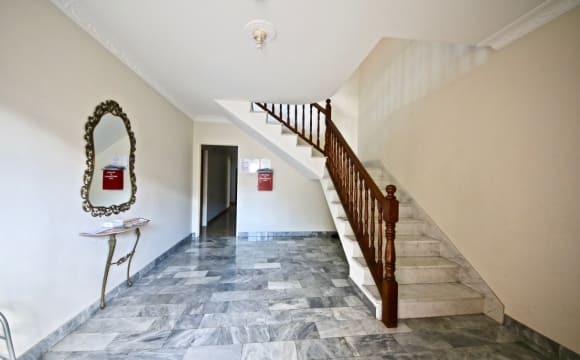 The House is Located in Zone One for the public transport system or is a short 10-15minute walk to the city centre. A Cleaner Comes Once a Week to Clean Common Areas Only, Such as Bathroom, Toilet, Kitchen, Lounge and Hall Ways...General Cleaning Products Supplied (Toilet Paper. Dishwashing Liquid, Sponges and Garbage Bags etc.) No Couples, Sorry. I have a large house spread across 4 levels, The Barracks and Caxton St are up the road but house is surprisingly quiet. 2 minutes to Coles etc at the Barracks and only a 10-15 minute walk to CBD and South Bank. House is beautifully furnished and the galley kitchen has all the appliances a cook could ask for. 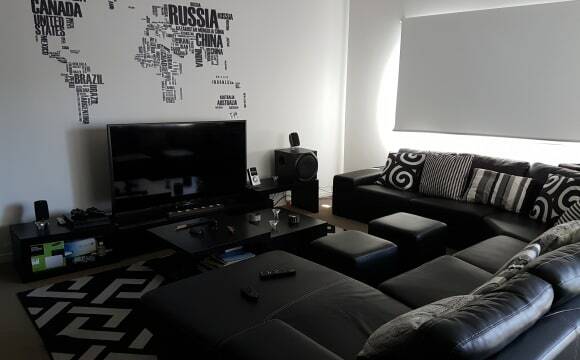 Lounge room has a large television with Netflix account. The available bedroom has a queen bed, chest of drawers and bedside tables. The large windows fill the room with light and most importantly it has a brand new air conditioner! The bedrooms are on separate levels with a balcony off the room I'm advertising. There’s 2 bathrooms, one shared with this room and an additional toilet on the ground floor. A lovely garden is at the back of the house, with a Weber BBQ and plenty of hanging plants. Parking is a bit tricky on this street if you have a car, but is usually fine. You’ll have a parking pass as a resident. All bills including unlimited wifi and a cleaner. Hello Luxury Apartment Complex of Brisbane City Awesome Facility👍 I'm offering the room With Ensuited Bathroom. The room are for females (two people in the room) One Female is available from 20th of Apr. 😊 -1 minute walk to Roma Street Bus &amp; Train Station -2-5minutes walk to king george sqaure and the CBD -cafes &amp; restaurants at downstair -You can enjoy the nature of City Heart Famous Roma parkland on your Door step - 3meeting room &amp; barbeque area &amp; 25m indoor heated pool &amp; Outdoor Pool &amp; Spa &amp; Steam Sauna Facilites (5am-9pm) -you can reach All amenities of city in 10minutes by walk - 24 hours McDonald's, Coles, Woolworths, bank, post office, library, exercise grounds, walkway, movie theater are all within 10minutes' walk - Two refrigerators are available. - I give u private key and there is convenience in life. - i provide toilet tissue, laundry powder, dish wash liquid, hand wash liquid. - Included All Bills, Unlimited Fastest Internet, $155/week. (Unlimited Aircon Extra $5/week) - we have Two-weeks Bond, Two weeks payment, 4weeks notification. -You can Enjoy nature in the city at romapark. 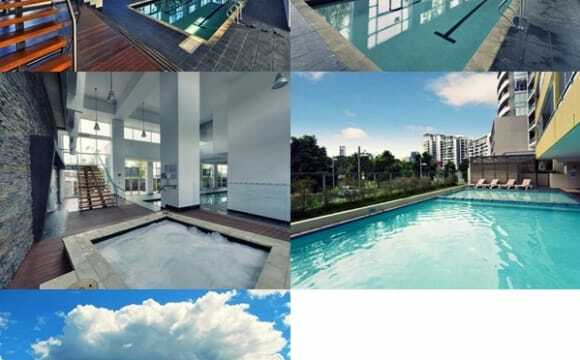 -Great Swimming pool and gym Facilites of city. -Basement 2 Exit is Roma Street Station. -Don't lose this chance -Visit and decide. The view the gym the pool the park of Romapark is the best! PRICING: $220 P/W for Single $300 P/W for Couple Two Beds option available for friends sharing. No Parking available The apartment complex itself has a pool and a gym on the ground floor. The building is secure and is comfortably located near the City/Southbank/Roma St station. 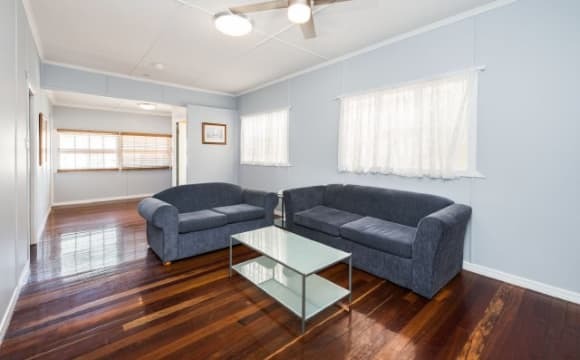 --------------------- It's easy to get around the parts of Brisbane that matter from this house, either travelling to the city or via Roma St station to any suburbs. --------------------- The Internet connection is NBN so you can stream netflix without any worries and the kitchen is equipped for any type of cooking. --------------------- The master bedroom which we are offering has a spacious walk-in wardrobe as well as a television mounted to the wall. As well as this there is a television in the living room. --------------------- The house also has it's own laundry machine so you don't have to pay coins to do your laundry. I have 1 Master Room described below and above which is available now. Fully Furnished Master Room with ensuite bathroom in a Modern 3 bedroom apartment with entertainment style kitchen / living room and fully ducted zoned air-conditioning. 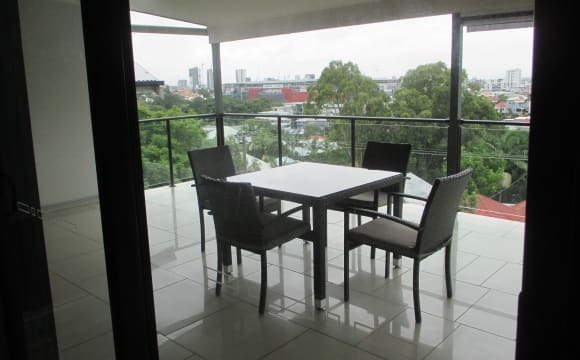 The building has also a BBQ area and swimming pool on the top floor facing the city and the Brisbane river. Great location! Easy walk to the City, Suncorp Stadium and the Caxton Street/ Barracks precinct (Coles, cinema and restaurants). Access to transport with train, bus, City Cat or stroll across the Go-Between Bridge to Southbank parklands and cultural precinct. Room has a queen bed ensemble and built in robe. All bills included (electricity, water, ADSL2+ internet). 2 weeks bond plus 2 weeks rent in advance required. The apartment is fully furnished and you will be sharing the unit with a French girl and 1 Aussie guy. The price is $320/wk for the master room described above. Beautiful Two Bedroom Apartment With River View AVAILABLE on 4th May (Sat)!! Hi everyone! Thank you for finding us :) We are looking for a person or a couple(2people) to move in to our lovely apartment! The bed room has a queen bed and a big closet. You will have a own bathroom as well. You can see bridges from our balcony with the beautiful Brisbane river view! - Close to CBD, Southbank and Westend walking distance. - Shopping centre is just 7mins by walk and it has everything! (Super market Coles, Bottle shop, Restaurants, Cafes…etc) - Also close to the famous Caxton street 8mins by walk! Our unit - All bills are included (Water, Gas, Electricity, Wi-Fi) - Super fast unlimited internet FTTB is Available! - Super clean and tidy unit - Furnished - Friendly house mates - Filter water jag available - Gas stove - Lovely island style kitchen - Large balcony with beautiful night view Apartment Facility - Beautiful swimming pool - Jacuzzi - Gym - Sauna - BBQ area - Secure building Please read - Smoking only at balcony - Minimum stay 1 month - At least 2 week notice when you move out - Please keep clean and tidy For one person Rent $300 Bond $600 For couple Rent $320 Bond $640 We would like to share our apartment who is friendly, clean and tidy. We are a very friendly couple just moved up to Brisbane City from Gold Coast, we love to share our time and drinking with people and also respect your privacy too! We are also happy to have same gender couples as well :) Don’t hesitate to ask anything and contact me :) Looking forward to hear from you! One bed available in a twin room. Close to the city, very clean and tidy. The rent include all bills and unlimited internet, cleaning once a week in common areas and bathrooms. Swimming pool, sauna, gym and Bbq zone. 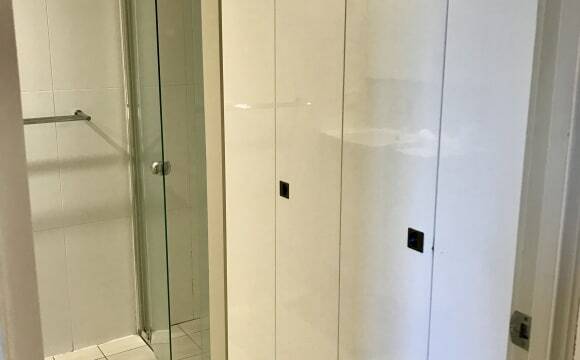 This huge, light airy bedroom with a private bathroom in a luxury home is walking distance to the city (20 minutes), Kelvin Grove QUT (15 mins) and Suncorp Stadium (10 mins) and offers city views (and also of the fireworks at Southbank!) You have a whole loft floor, offering the best of privacy and retreat. Looking for a working professional to join me in my home, which also features a large dining, kitchen and deck. There is also a large fruit and veg garden, offering herbs and fruit almost all year round. The room is furnished with a really comfy king bed (2 king singles), a desk and chair, bedside lamps, drawers and built in wardrobes and shelving as well as air conditioning. There is plenty of storage in side cupboards. $320 per week covers all bills including the internet. Couples could be considered. ($340 per week) 4 weeks bond. Prefer minimum stay of six months. References required. Look forward to hearing from you! The vibe of the house is come and go as your please and everyone does they own thing. This is not a party house but respectful moderate gatherings welcome. The best thing about this secure places, its big enough to feel like you have your own space, has 4 bedrooms with inbuilt robes, 2 bathrooms and rumpus, large open furnished air conditioned living&amp;dining area and kitchen, equipped with fridge, microwave oven,dishwasher, TV, washing machine etc., multiple balconies with great city and local views. Suitable for working professionals, students. Clean and non smokers that is a must. Bedrooms can be furnished or without. Double lockup garage and store. Gardening, electricity, hot water, unlimited internet, parking permit included in rent. Suncorp Stadium, Paddo Tavern, Caxton St, Domino's Pizza is just a short walk. The house is located in Spring Hill. It's less than 1 minute by walking to the bus station, 10 minutes by walking to the City and Woolworth. The house is very clean and tidy. It's a triplex. First floor there are 3 rooms. The second floor there are a spaced kitchen and a snug living room with air conditioner. The third floor there is a couple room. Welcome to Boutique Student House. We are a 5 bedroom luxury house offering fully furnished, secure rooms, within 5 minute walk of QUT Kelvin Grove Campus. The house was designed for students. Enjoy the fully equipped luxury gourmet kitchen with gas cooktop, dishwasher, washing machine, ample bench tops, that seamlessly flows onto a deck with views of QUT and a 10 seater outdoor setting that leads to your own private backyard. Shared bathroom for four rooms is stylish and opulent with rain fall shower, hand shower and bathtub. The house is delightfully positioned on a hill that captures the famous Red Hill breezes and is air-conditioned. Each room can be locked, and enjoys multiple communal spaces. Enjoy time away from study in a lovely tree lined backyard amid the soft chirping of birds. Unlimited internet and all bills included in rent. Two sets of sheets and all doonas and pillows for each room provided and fortnightly cleaning of common areas included in the rent. 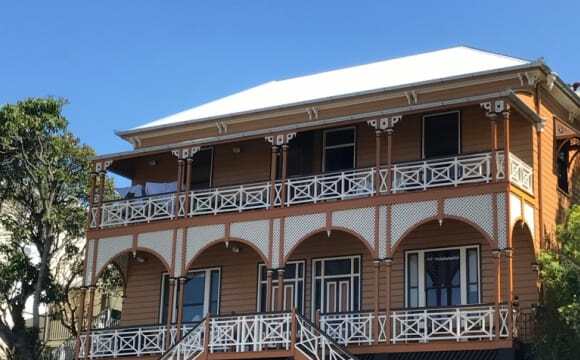 Red Hill is a major inner-city suburb within easy walking distance to the Brisbane CBD, Suncorp Stadium, the Kelvin Grove university and leisure precinct and the Caxton Street nightlife. The famous Normanby Hotel is a stones throw away. Many restaurants and cafes as well as grocery stores an easy stroll away make meals easy. The La Boite theatre and a large indoor sports and recreation centre are also within five minutes walk. 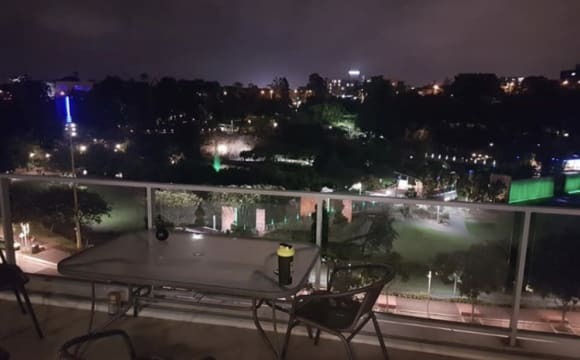 Roma Street parklands offer a barbecue and picnic haven in the middle of the city and is 10 minutes walk away along with Roma Street train station.